Now, to continue our discussion of the Three-Act Structure, today I want to take several movies in a row and identify the Act Climaxes (plot points, turning points, act breaks, curtain scenes, whatever you want to call them!) of each, so we can look at what all happens at those crucial junctures. This act/climax structure happens exactly the same way in books, but because movies are such a compressed form of storytelling, it's often easier to see the structure of the story in a movie than it is in a book. And it's a lot faster! To review for those just joining us, a two-hour movie has three acts - Act One is roughly 30 minutes (or 30 script pages) long, Act Two is 60 minutes long (but broken into two very different sections of 30 minutes each, separated by the MIDPOINT CLIMAX of the movie) and Act Three is a bit shorter that 30 minutes, because you almost always want to speed up the action in the end. The proportion is exactly the same in a book. In a book of 400 pages, Act One will be roughly 100 pages, Act Two will be 200 pages, divided in two by a Midpoint Climax at p. 200, and Act Three will probably be a little less than 100 pages. These are VERY ROUGH guidelines, not rules - and will change proportionately with the numbers of pages in your book. But essentially, you can look at any book or movie as being divided into four roughly equal quarters of story. Now, the easiest way to identify an Act Climax in a movie is just to use your watch, or the timer on the DVR. When something BIG starts to happen about thirty minutes into a movie, either psychologically, sexually, visually, or action-y, you can pretty much count on that being an act climax. Same at 60 minutes, 90 minutes, and of course, the scenes before the end. But to be more specific, what you're looking for is SETPIECE SCENES. If you start watching movies specifically to pick out the setpiece scenes, you’ll notice an interesting thing. They’re almost always used as act or sequence climaxes (we'll get to sequence climaxes in a few posts). They are tentpoles holding the structure of the movie up… or jewels in the necklace of the plotline. The scenes featured in the trailers to entice people to see the movie. The scenes everyone talks about after the credits roll. That elaborate, booby-trapped cave in the first scene of Raiders of the Lost Ark. The helicopter chasing Cary Grant through the cornfield in North By Northwest. The goofy galactic bar in Star Wars. Munchkinland, the Scarecrow’s cornfield, the dark forest, the poppy field, the Emerald City, the witch’s castle in The Wizard of Oz. The dungeon – I mean prison – in Silence of the Lambs. In fact you can look at Raiders and Silence and see that every single sequence contains a wonderful setpiece (The Nepalese bar, the suspension bridge, the temple in Raiders…). A really great setpiece scene is a lot more than just dazzling. It’s thematic, too, such as the prison (dungeon for the criminally insane) in Silence of the Lambs. That there is much more than your garden variety prison. It’s a labyrinth of twisty staircases and creepy corridors. And it’s hell: Clarice goes through – count ‘em – seven gates, down, down, down under the ground to get to Lecter. Because after all, she’s going to be dealing with the devil, isn’t she? And the labyrinth is a classic symbol of an inner psychological journey, just exactly what Clarice is about to go through. And Lecter is a monster, like the Minotaur, so putting him smack in the center of a labyrinth makes us unconsciously equate him with a mythical beast, something both more and less than human. The visuals of that setpiece express all of those themes perfectly (and others, too) so the scene is working on all kinds of visceral, emotional, subconscious levels. Now, yes, that’s brilliant filmmaking by director Jonathan Demme, and screenwriter Ted Talley and production designer Kristi Zea and DP Tak Fujimoto… but it was all there in the books, on Thomas Harris’s page, first, all that and more; the filmmakers had the good sense to translate it to the screen. 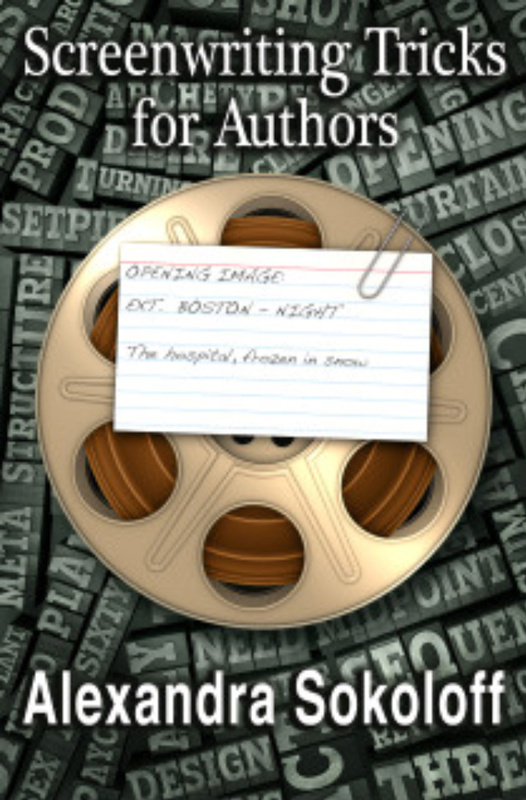 In fact, Silence of the Lambs and Red Dragon, the books, are so crammed full of thematic visual imagery you can catch something new every time you reread those novels. At the risk of overloading you, I'm going to go over - briefly - what each Act Climax does (because they all serve different functions). If you're new to this blog, some of these terms will be unfamiliar, but don't worry about it - we'll talk much more about all of this in the coming days. Remember, in general, the climax of an act is very, very, very often a SETPIECE SCENE – there’s a dazzling, thematic location, an action or suspense sequence, an intricate set, a crowd scene, even a musical number (as in The Wizard of Oz and, more surprisingly, Jaws.). Also an act climax is often more a climactic sequence than a single scene, which is why it sometimes feels hard to pinpoint the exact climax. And sometimes it’s just subjective! These are guidelines, not laws. When you do these analyses, the important thing for your own writing is to identify what you feel the climaxes are and why you think those are pivotal scenes. - We have all the information we need to get and have met all the characters we need to know to understand what the story is going to be about. - The Central Question is set up – and often is set up by the action of the act climax itself. - Often propels the hero/ine Across the Threshold and Into The Special World. (Look for a location change, a journey begun). - Is a major shift in the dynamics of the story. Something huge will be revealed; something goes disastrously wrong; someone close to the hero/ine dies, intensifying her or his commitment. - Can also be a huge defeat, which requires a recalculation and a new plan of attack. - Is a point of no return. - May start a TICKING CLOCK. - The Midpoint is not necessarily just one scene – it can be a progression of scenes and revelations that include a climactic scene, a complete change of location, a major revelation, a major reversal – all or any combination of the above. - Often can be a final revelation before the end game: the knowledge of who the opponent really is. - Often comes immediately after the “All is Lost” or “Long Dark Night of the Soul” scene - or may itself BE the "All is Lost" scene. - Propels us into the final battle. - (near the very end of the story). - Is the final battle. - Hero/ine is forced to confront his or her greatest nightmare. And note all times are APPROXIMATE - I'm a Pisces. It’s a devastating scene – just as devastating as a shark attack, and a crucial turning point in the story, which is why I’d call it the act climax. Brody is going to have to take action himself instead of rely on the city fathers (in fact, the city fathers have just turned into his opponents). The midpoint climax occurs in a highly suspenseful sequence in which the city officials have refused to shut down the beaches, so Sheriff Brody is out there on the beach keeping watch (as if that’s going to prevent a shark attack! ), the Coast Guard is patrolling the ocean – and, almost as if it’s aware of the whole plan, the shark swims into an unguarded harbor, where it attacks a man and for a horrifying moment we think that it has also killed Brody’s son (really it’s only frightened him into near paralysis). It’s a huge climax and adrenaline rush. (This is about 60 minutes and 30 seconds in). Brody’s family has been threatened (“Now it’s PERSONAL”). And as he looks out to sea, we and he realize that no one’s going to do this for him – he’s going to have to go out there on the water, his greatest fear, and hunt this shark down himself. As in the first act climax, here Spielberg goes for a CHARACTER sequence, an EMOTIONAL climax rather than an action one. About 83 minutes into the movie, the three men, Brody, Quint and Hooper, who have been at each other’s throats since they got onto the boat, sit inside the boat's cabin and drink, and Quint and Hooper start comparing scars – classic male bonding, funny, touching, cathartic. In this midst of this the tone changes completely as Quint reveals his back story, which accounts for his shark obsession: he was on a submarine that got hit during WW II, and most of the men were killed by sharks before they could be rescued. It’s a horrific moment, a complete dramatization of what our FEAR is for these men. And then, improbably, the three guys start to sing, “Show me the way to go home.” (I told you – a musical number!) It’s a wonderful, comic, endearing uplifting, exhilarating moment – and in the middle of it we hear pounding – the shark attacking, hammering the boat. And the men scramble into action, to face the long final confrontation of ACT THREE. (92 minutes in). The whole third act of JAWS is the final battle, and it’s relentless, with Quint wrecking the radio to prevent help coming, the shark battering a hole in the ship so it begins to sink under them, the horrific death of Quint. The climax of course is water-phobic Brody finding his greatest nightmare coming alive around him: he must face the shark on his own on a sinking ship – he’s barely clinging on to the mast - and blowing it up with the oxygen tank. The survival of Hooper is another emotional climax. (2 hrs. 4 minutes). 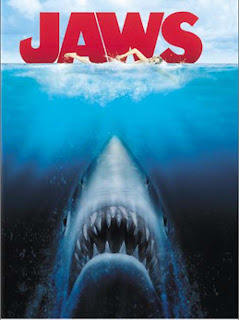 The interesting thing to note about JAWS is that despite the fact that it’s an action movie (or arguably, action/horror), every climax is really an EMOTIONAL one, involving deep character. I’d say that has a lot to do with why this film is such an enduring classic. . It’s also interesting to consider that in an action movie an emotional moment might always stand out more than yet another action scene, simply by virtue of contrast. I’d say it’s a two-parter: The lead-in is the climax of Clarice’s second scene in the prison with Lecter. She’s followed his first clue and discovered the head of Lecter’s former patient, Raspail, in the storage unit. Lecter says he believes Raspail was Buffalo Bill’s first victim. Clarice realizes, “You know who he is, don’t you?” Lecter says he’ll help her catch Bill, but for a price: He wants a view. And he says she’d better hurry – Bill is hunting right now. And on that line we cut to Catherine Martin, and we see her knocked out and kidnapped by Bill. So here we have an excruciating SUSPENSE SCENE (Catherine’s kidnapping); a huge REVELATION: Lecter knows Bill’s identity and is willing to help Clarice get him; we have a massive escalation in STAKES: a new victim is kidnapped; there is a TICKING CLOCK that starts: we know Bill holds his victim for three days before he kills them, and the CENTRAL QUESTION has been set up: Will Clarice be able to get Buffalo Bill’s identity out of Lecter before Bill kills Catherine Martin? (34 minutes in). The midpoint is the famous “Quid Pro Quo” scene between Clarice and Lecter, in which she bargains personal information to get Lecter’s insights into the case. This is a stunning, psychological game of cat-and-mouse between the two: there’s no action involved; it’s all in the writing and the acting. Clarice is on a time clock, here, because Catherine Martin has been kidnapped and Clarice knows they have less than three days now before Buffalo Bill kills her. Clarice goes in at first to offer Lecter what she knows he desires most (because he has STATED his desire, clearly and early on) – a transfer to a Federal prison, away from Dr. Chilton and with a view. Clarice has a file with that offer from Senator Martin – she says – but in reality the offer is a total fake. We don’t know this at the time, but it has been cleverly PLANTED that it’s impossible to fool Lecter (Crawford sends Clarice in to the first interview without telling her what the real purpose is so that Lecter won’t be able to read her). But Clarice has learned and grown enough to fool Lecter – and there’s a great payoff when Lecter later acknowledges that fact. The deal is not enough for Lecter, though – he demands that Clarice do exactly what her boss, Crawford, has warned her never to do: he wants her to swap personal information for clues – a classic deal-with-the-devil game. The act two climax here is an entire, excruciating action/suspense/horror sequence: Lecter’s escape from the Tennessee prison, which really needs no description! It’s a stunning TWIST in the action. But it’s worth noting that the heroine is completely absent from this climax. The effect on her is profound, though: She was counting on Lecter to help her catch Buffalo Bill. Now that is not going to happen (the Central Question of the story is thus answered: No.) – it’s a complete REVERSAL and huge DEFEAT (all is lost). Clarice is going to have to rise from the ashes of that defeat to find Bill on her own and save Catherine. The sequence begins about 1 hour and 12 minutes in and ends 10 minutes later, at 1 hr. 22 minutes. … of course is the long and again, excruciating horror/suspense sequence of Clarice in Buffalo Bill’s basement, on her own stalking and being stalked by a psychotic killer while Catherine, the lamb, is screaming in the pit. This is one of the best examples I know of the heroine’s greatest nightmare coming alive around her in the final battle, and it is immensely cathartic that she wins. Note that the climaxes in SILENCE OF THE LAMBS are very true to the genre, with elements of suspense, action, thriller and horror. Every single climax delivers on the particular promise of the genre – the scares and adrenaline thrills, but also the psychological game playing. (27 min. ) … is a proposal: Margaret’s assistant Andrew makes her get down on her knees on a crowded sidewalk to propose to him. (57 min.) The GETTING TO KNOW YOU scene. In the bedroom they are being forced to share, Margaret and Andrew bond over an obscure song. (1 hr. 30 min.) Margaret stops her own wedding to say she can’t go through with it — Andrew deserves better than a false marriage. And she walks out to surrender herself to the INS agent. (1 hr. 42 min.) Andrew catches Margaret in the office as she’s packing to leave and proposes to her, overcoming her fears. Okay, so any examples for me today? Or any stories you're having trouble identifying the climaxes of that we can help with? Great summary! I'm going to get out some sticky notes and a bulletin board tonight and see if I can't get my turning points figured out. Beautiful. I've always considered "Silence" the perfect representation of great storytelling in two separate media. Movie and book doing what each does best. The movie's Act II also contains that horrifying reversal when we unconsciously find ourselves pulling for Lecter to escape! Keep us posted, Sonja! I love your story. Hey Scott! I couldn't agree more about Silence being perfect in BOTH media, and yeah, that is just a diabolical reversal. And then we want him to eat Chilton in the end! Brilliant! The beauty of this lesson is that the first time I read, studied and applied this to my writing process, I was at a different level. Now, perhaps several months later (man, has it been a year), I have a better innate feel for what you are saying and more things come together for me in your blog. 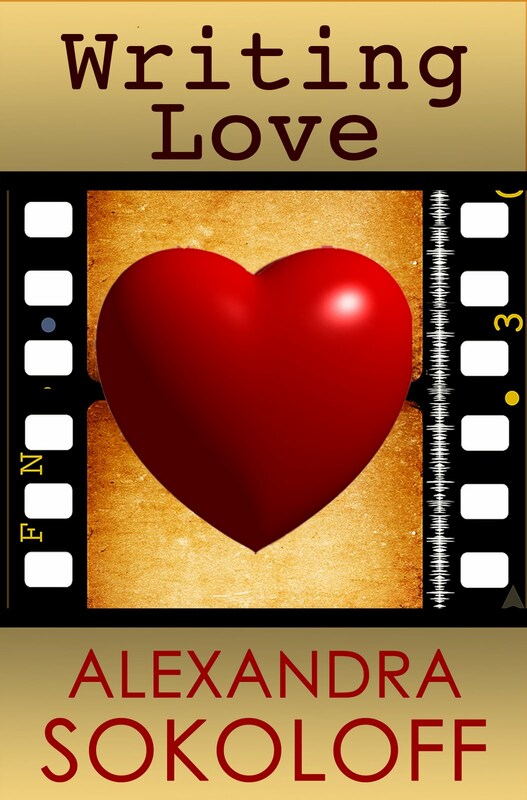 Thanks Alexandra! Great stuff. I'm now applying it to my next novel, The Crayola Man. I found you blog today. Can't really understand how I managed to not find it before. This seems to be a real nice place with all the interesting subjects, pleasant appearance and all. Are you on a Bouchercon panel? I've looked through the list but just haven't found you. Must have missed it. I study the Hero's Journey and the process of psychological transformation as it is represented in stories. One of the authors who chose the Hero's Journey as the basis of his method is the British Kal Bashir. Instead of symplifying it (Christopher Vogler's choice), he opted to make it complex, claiming to have found more than 510 micro stages. It seems this level of complexity would be more fully explored in a novel than in a script. Thanks for a nice post & links. Have to point out that the helicopter in North by Northwest should be a cropduster (biplane). What a great help! "Somehow" my story came together, in a much better way. Once the curtains were in place, the room came to life. Thanks!! Love all of your posts. Gene, you just made my day, and it was pretty great to begin with! So glad you get the curtains - it does pull everything together, doesn't it! Sergio - you have Bashir's permission to distribute this material, right? I respectfully disagree with some of these points only because I've always believed that the turning points lead to the changing of the actual story. Meaning, not going on minutes into a film, but that each film's logline is essentially it's basic story, and the first turning point starts the story, the first action point is caused by the first turning point and in turn causes the midpoint scene which then causes the second action point which then causes the second turning point which directly causes the climax. 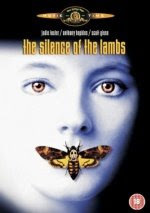 So, if the logline of "The Silence of the Lambs" is basically "A young FBI cadet must confide in an incarcerated and manipulative killer to receive his help on catching another serial killer still on the loose" then that is it's basic story. What starts that? The first turning point, Lector telling her "I'm offering you a psychological profile on Buffalo Bill" that directly causes the first action point (Quid Pro Quo with Chilton listening), which directly causes the midpoint scene (Lector telling Clarice "do we seek out things to covet?" Lector explaining Bill's first victim), which directly leads to the second turning point (Clarice realizes Bill is making a suit out of skin), which directly leads to the climax (Clarice's catching Bill). If the story is Clarice hunting Bill, then these plot points are what drives the story to the climax. In my opinion. I did enjoy reading your blog though, very entertaining as I am a huge "Silence of the Lambs" fan.